About us & our promise to you. No matter your style, Pacific Diamond has something special for everyone! With over 30+ years in the jewelry industry, owner/operator Ted Gonzales has a passion for diamonds! 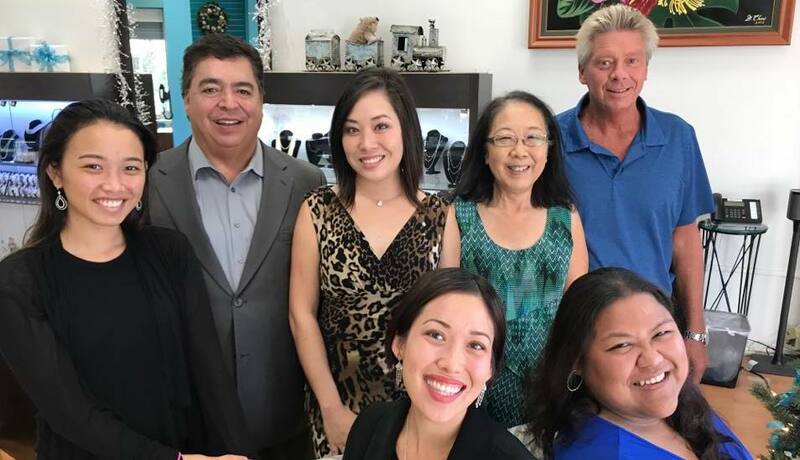 Ted arrived in Hawaii with a dream of one day opening his own family-run jewelry store and in 1996 everything fell into place after he married the love of his life and together they opened the first Pacific Diamond jewelry store in Honolulu. Ted and his Pacific Diamond Ohana understand that much like people, every diamond is beautiful and unique. We carry a wide variety of both GIA certified and uncertified diamonds to meet every budget, along with hundreds of unique settings to create the perfect piece of jewelry just for you. Fine jewelry is our passion- every piece tells a story, holds a memory and symbolizes love, and we promise you will love your new jewelry as much as we do!